We offer superior services tailored to your needs. Family-owned and operated Boyd’s xXxcavating has served homeowners, commercial businesses and developers in Edmonton, Leduc and surrounding areas of Alberta for over 30 years. 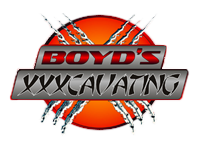 It is this experience that has made Boyd’s xXxcavating one of the region’s premier excavation companies. Guided by strong leadership, a knowledgeable workforce, and a determination to expand the scope of our services, Boyd’s xXxcavating has built a reputation as being a true service provider to clients throughout the central Alberta area. 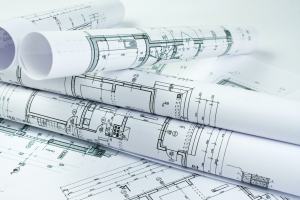 Our experienced technicians provide a wide variety of services, performing complete site development services as well as foundation excavation, including clearing and demolition, earthwork, utilities, and site grading. We also offer a variety of specialty services including footing excavation and back-fill, as well as sales of fill material or disposal of excess materials. All services are complimented by the availability of heavy excavation equipment. Keep your commercial property freely accessible no matter what the season. 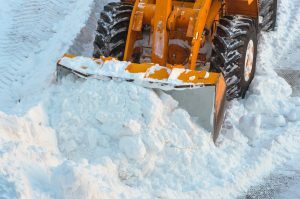 Boyd’s xXxcavating has all the tools necessary to provide complete snow plowing and ice removal, sanding and sweeping for your home or business. For more information about the services we provide or to schedule an appointment, please contact our office. INTUITIVE SOFTWARE, RUGGED HARDWARE The Trimble Earthworks grade control app runs on the new 10-inch (25.7 centimeter) Trimble TD520 touch-screen Android display. The software was created in collaboration with construction equipment operators around the world, so the interface is optimized for ease-of-use and productivity. Colorful graphics, natural interactions and gestures, and self-discovery features make Earthworks intuitive and easy to learn. Each operator can personalize the interface to match their workflow and a variety of configurable views make it easier to see the right perspective for maximum productivity. Earthworks allows data files to be transferred to or from the office wirelessly and automatically so you’ve always got the latest design. Using the Android operating system, you can download other useful applications. And for more flexibility, the Trimble Earthworks software can be used on third-party Android tablets. CAB-MOUNTED PORTABILITY Trimble Earthworks for Dozers mounts dual GNSS receivers on top of the cab to eliminate masts and cables traditionally located on the blade. The dual GNSS receivers are ideal for steep slope work and complex designs with tight tolerances. The new configuration allows you to easily remove the receivers to other machines, to maximize your investment and keep your machines working. Cab-mounting receivers is more convenient and can save you time by reducing the need to reinstall them each day.